Trak-Record II | Micro-Trak Systems, Inc. 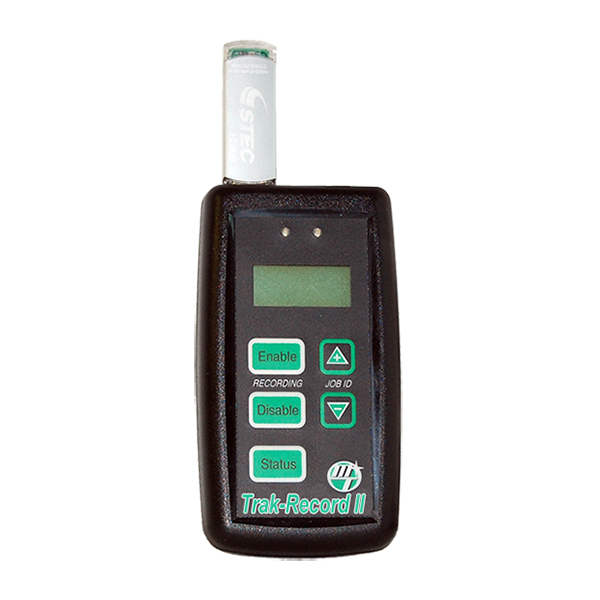 The Trak-Record II is a TV-remote size device to log date-and time-stamped data and system information from Micro-Trak® Systems, Inc. controllers using their standard RS-232 serial port. The Trak-Record II includes a removable Industrial Duty USB Flash Drive. The Trak-Record II stores information to the USB Flash drive which is used to transfer data to the customer’s PC. The provided Flash Drive contains user interface software which can be downloaded to the customer’s Windows XP PC via an easy ClickOnce installation procedure. The user software includes tools for data transfer, sorting and organization. The Trak-Record II has a basic user interface consisting of a LCD, indicator lights, and switches for operator input and feedback.